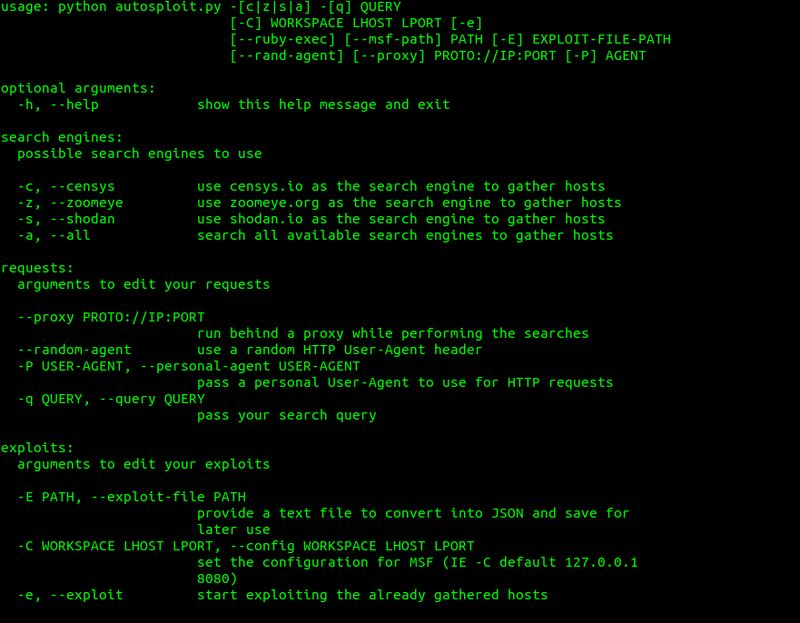 As of version 2.0 AutoSploit can be started with a number of command line arguments/flags as well. 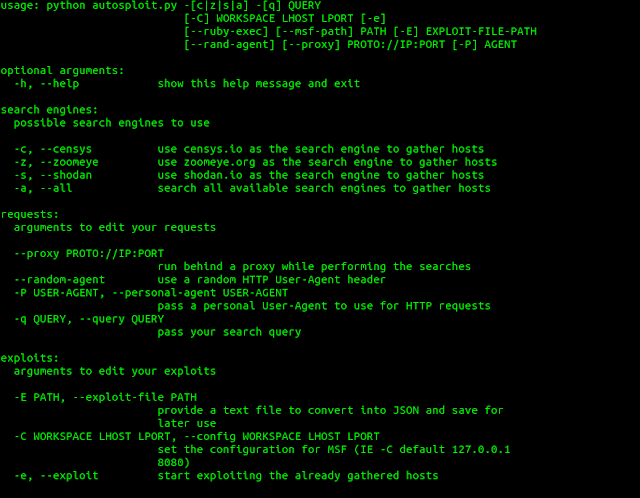 Type python autosploit.py -h to display all the options available to you. I've posted the options below as well for reference.